There’s two particularly interesting science stories in the news today. The first, which I read this morning, is that a planet 2.4 times the diameter of Earth has been discovered orbiting the habitable zone of its sun. For those not as interested in the search for extraterrestrial life, the habitable zone is the range in which a planet will likely be able to accumulate liquid water (thought to be a prerequisite of life), and this is a particularly small planet. Given that life may be a chemical inevitability*, the continued search for such sites will help us narrow down where we should point our telescopes, and perhaps even future probes. This planet is about 600 light years away, so if Charlemagne has launched a speed-of-light probe in 811, the first signals of the planet would be arriving around now (assuming they also travelled at light-speed). * Life just may be a chemical inevitability. “Biology” is just chemistry that has become stuck in a self-perpetuating loop that reacts and multiplies faster than entropy can break it down. “Biology” is chemistry which can adapt to changing environments through the process of natural selection, whereby the well-adapted survive to live on and further multiply. Over a given period of time, it maybe be inevitable that life, in some form, will take root in even the most extreme of conditions. This doesn’t mean there will certainly be intelligent life scattered across the universe, but life in its most basic (and perhaps even familiar) forms may be quite common, in the same way that the coalescing of stars with orbiting planets has turned out to be quite common. 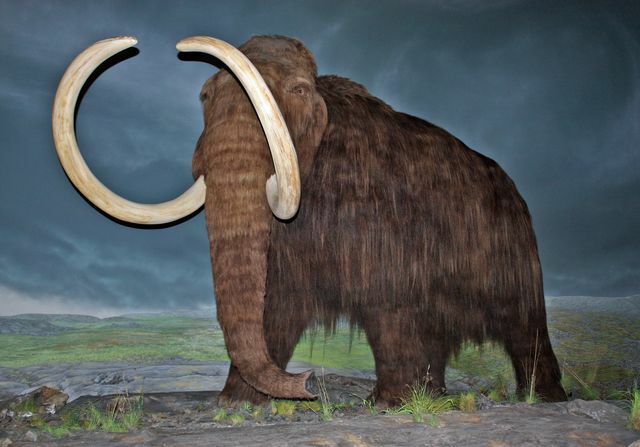 The other big news floating around the interwebs is the announcement that a mammoth will be cloned in the next few years. I think it’s great, and I hope they do more than just put it in a lab to be studied, or in a zoo to be ogled. No, I hope they clone vast herds of them… so that I may eat some. I want a mammoth steak before I die, and I don’t think I have very long left (unless it’s normal for one’s heart to randomly twitch, and be left panting and sweating for minutes…). I can’t believe people are resorting to worrying about Jurassic Park. It’s little more than am alarmist, slightly-more-modern Frankenstein tale: look out, scientific progress is scary! Except, Jurassic Park was written by a man (Michael Crichton) who pathologically demonized science, to the point that he denied reports by doctors that smoking was bad for you… and he died from smoking related lung disease. The man could tell a good story, but he was a real Luddite. I, for one, welcome our new Woolly overlords.